THIS IS A SEASONAL FURNISHED RENTAL! Leased through the end of September, 2019. This perfect one bedroom one and a half bathroom home, has been completely remodeled with fabulous flooring. All new stainless appliances, countertops and cabinetry in the kitchen. The full master bathroom is spacious and open with double sinks, a gorgeous tiled shower and all new cabinetry and fittings. New light fixtures throughout. The lovely covered patio has been retiled; perfect for outdoor enjoyment. Safe and secure with a manned guard gate. You will enjoy other amenities such as the heated community pool and spa, clubroom, and fitness center. 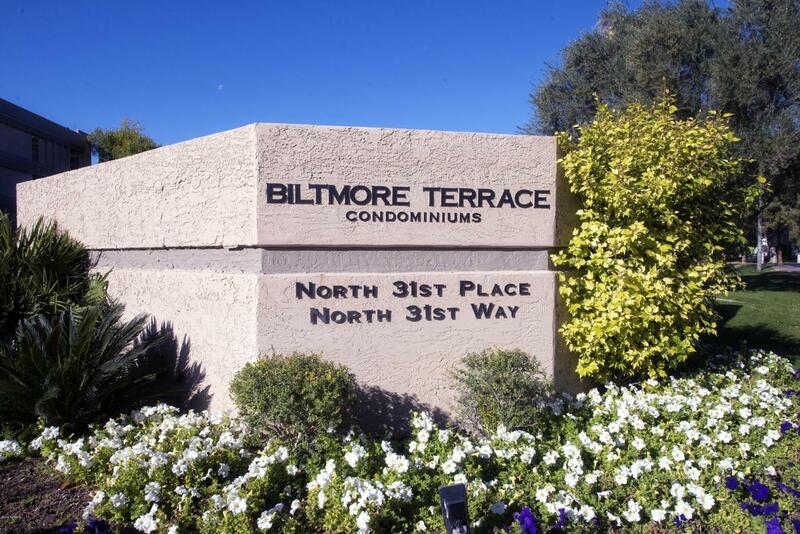 Whether this is a winter retreat or your full-time home, you will love the Biltmore lifestyle with beautiful mountain views from the patio.